Just a few days before the new year we are probably less focused on buying TV boxes (or gadgets in general), so the online retailers must come up with something very attractive. Some great deals are on Gearbest, which runs now an "Epic New Year sale". Many items on their list, including the popular "smart" devices (bracelets, watches, phones, now scooters). OnePlus Two, for instance, it's just $380. We announced the Sunvell T95 Mini PC a while ago and it still looks very good (on paper, at least) with it's alluminum casing and the front LED panel. 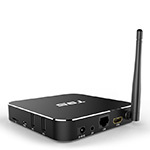 Another Mini PC we announced a while ago is the Beelink MX64. This one comes with a plastic casing, but has Gb Ethernet and 2GB of RAM. At $59 is one of the best deals for an Amlogic S905 Mini PC. 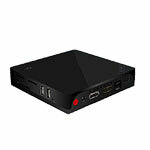 If you fancy something with more storage, the Beelink M18 Mini PC is also on the list. 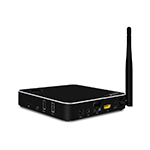 As we showed here, the Beelink M18 has a bigger eMMC (16 Gb) and also an external wi-fi over the Beelink MX64 device. 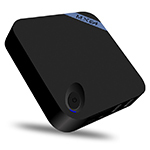 Priced at $65 during this flash sale, Beelink M18 could be a good choice. But not Amlogic S905 devices are on the list,an interesting deal is also the Beelink I68 ($69). Using RockChip RK3368 SoC and having 2GB of RAM, 8GB eMMc storage, HDMI 2.0 and Gb Ethernet, Beelink I68 is a possible choice as well.